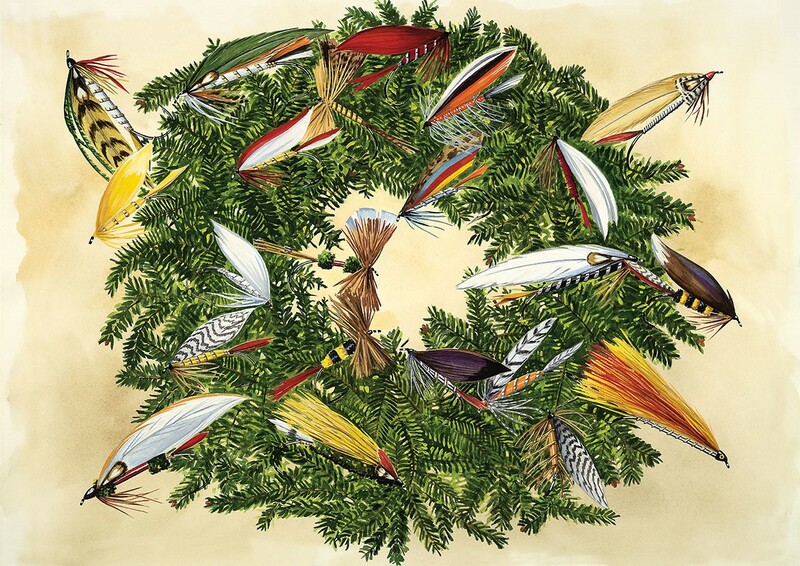 We have featured the gorgeous art of Bob White many times on this blog (see here, here, here, and here, for example), and he was an Orvis News Trout Bum of the Week. 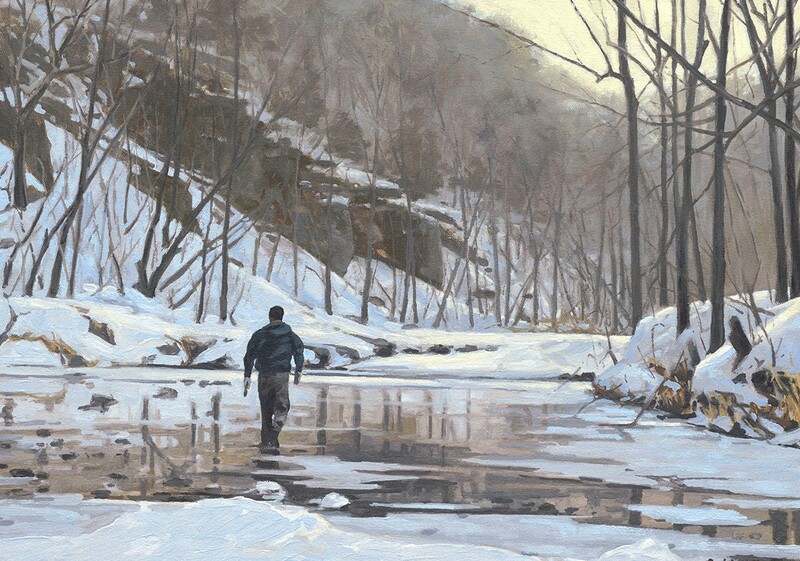 He recently posted a wonderful winter scene on Facebook, so I asked if he’d be willing to put together a collection of his favorite seasonal paintings for us. He agreed and went one better, also writing a few words about how much he loves painting these scenes. When I was a boy, the year was divided into just three parts. 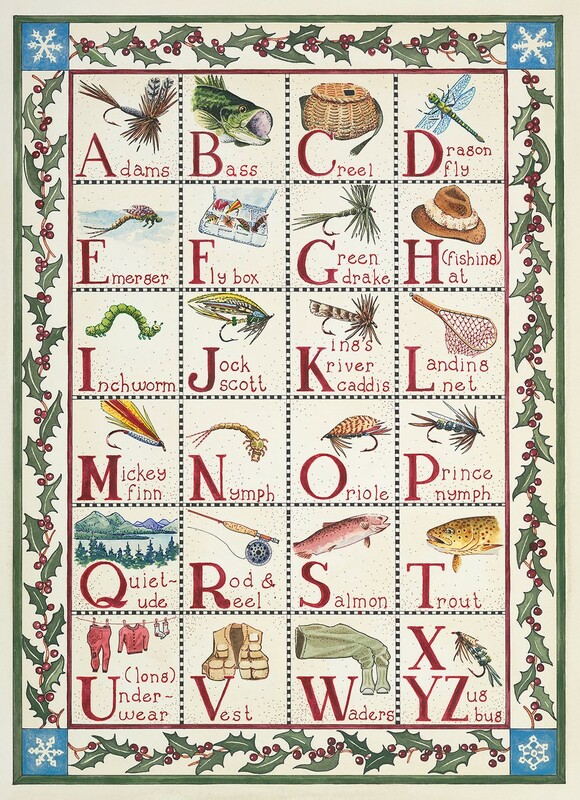 In descending order of importance they were, Christmas, and the hunting and fishing seasons. My earliest memories of Christmas consist of pure wonder and magic. I remember sitting in a darkened room with my eyes squinted to blur the soft glow of Christmas tree lights. And, the sparkle of twisting ornaments and strands of tinsel added an even more mystical dimension to the real-life fantasy before me. My enchantment with Christmas may have diminished somewhat with the inevitable distractions of adolescence and early adulthood, but a deep wave of nostalgia swept over me with parenthood. The magic of Christmas was renewed through the eyes of my children. 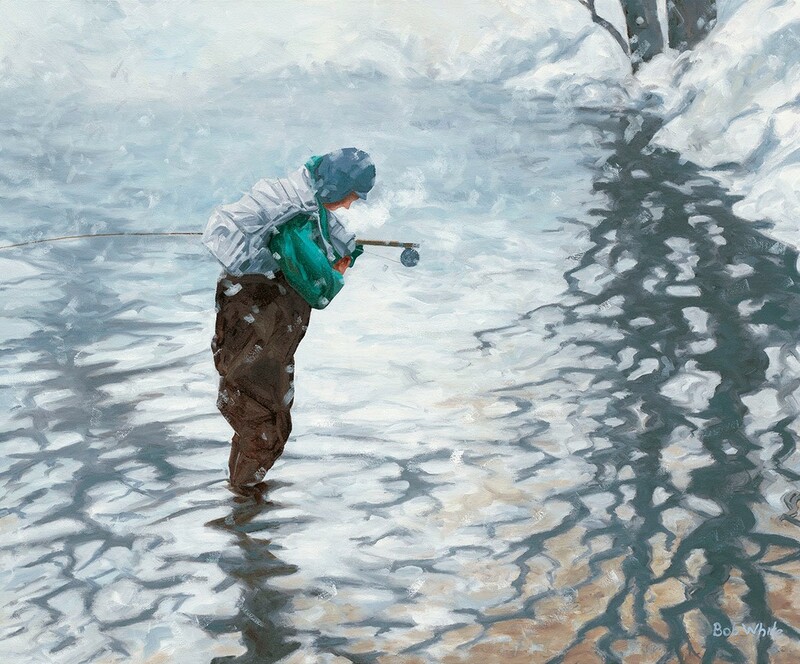 I’ve always believed that an artist should paint what he knows and loves, and along with images from a rural existence and a sporting life, the Christmas season is a subject that I care about deeply. “First Fish of the Year,” watercolor. So, it seems only natural to me that I combine all that’s important to me in the images I create. The paintings I’ve included in this selection recall favorite images and memories from Christmas seasons past. 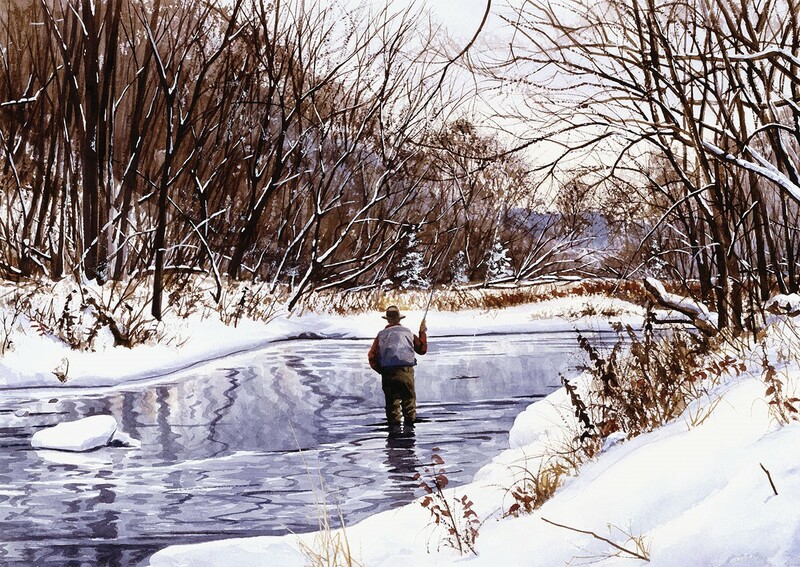 You can see lots more of Bob’s art, including great renderings of dogs and wingshooting, at the Bob White Studio website.